The Caledoniii (Latin: Caledones), or Caledonian Confederacy, is a name given by historians to a group of indigenous peoples of what is now Scotland during the Iron Age and Roman eras. The Romans referred to their territory as Caledonia and initially included them as Britons, but later distinguished as the Picts. The Caledonians were enemies of the Roman Empire, which was the occupying force then administering most of Great Britain as the Roman province called Britannia. The term Caledones may derive from the Brythonic elements caled "hard, tough" plus the Celtic 'great' suffix, thus *caledonos "great, hard/tough person", *caledoni "great, hard/tough people". Alternatively, it may be derived from the Brythonic calet-donia, again meaning "hard/tough people". It could also derive from the Goidelic element "coille" "forest", i.e. "people of the forest". The Caledonians, like many Celtic tribes in Britain, were hillfort builders and farmers who defeated and were defeated by the Romans on several occasions. The Romans never fully occupied Caledonia, though several attempts were made. Nearly all of the information that we have about the Caledonians comes from their Roman enemy, and therefore unbiased information may be difficult to obtain. Peter Salway considers the Caledonians to have consisted of indigenous Pictish tribes augmented by fugitive Brythonic resistance fighters fleeing from Britannia. The Caledonian tribe, after which the historical Caledonian Confederacy is named, may have been joined in conflict with Rome by tribes in northern central Scotland by this time, such as the Vacomagi, Taexali and Venicones recorded by Ptolemy. 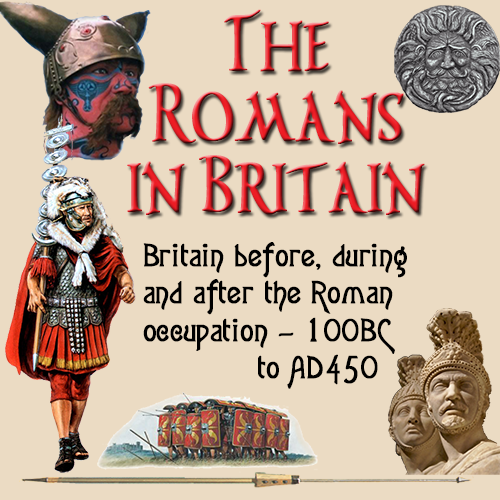 The Romans reached an accommodation with Brythonic tribes such as the Votadini as effective buffer states. The Caledonians are next mentioned in 209, when they are said to have surrendered to the emperor Septimius Severus after he personally led a military expedition north of Hadrian's Wall, in search of a glorious military victory. Herodian and Dio wrote only in passing of the campaign but describe the Caledonians ceding territory to Rome as being the result. Cassius Dio records that the Caledonians inflicted 50,000 roman casualties due to attrition and unconventional tactics such as guerrilla warfare. Dr. Colin Martin has suggested that the Severan campaigns did not seek a battle but instead sought to destroy the fertile agricultural land of eastern Scotland and thereby bring about genocide of the Caledonians through starvation. By 210 however, the Caledonians had re-formed their alliance with the Maeatae and joined their fresh offensive. A punitive expedition led by Severus' son, Caracalla, was sent out with the purpose of slaughtering everyone it encountered from any of the northern tribes. Severus meanwhile prepared for total conquest but was already ill; he died at Eboracum (modern day York) in Britannia in 211. Caracalla attempted to take over command but when his troops refused to recognise him as emperor, he made peace with the Caledonians and retreated south of Hadrian's Wall to press his claim for the throne. Sheppard Frere suggests that Caracalla briefly continued the campaign after his father's death rather than immediately leaving, citing an apparent delay in his arrival in Rome and indirect numismatic and epigraphic factors that suggest he may instead have fully concluded the war but that Dio's hostility towards his subject led him to record the campaign as ending in a truce. Malcolm Todd however considers there to be no evidence to support this. 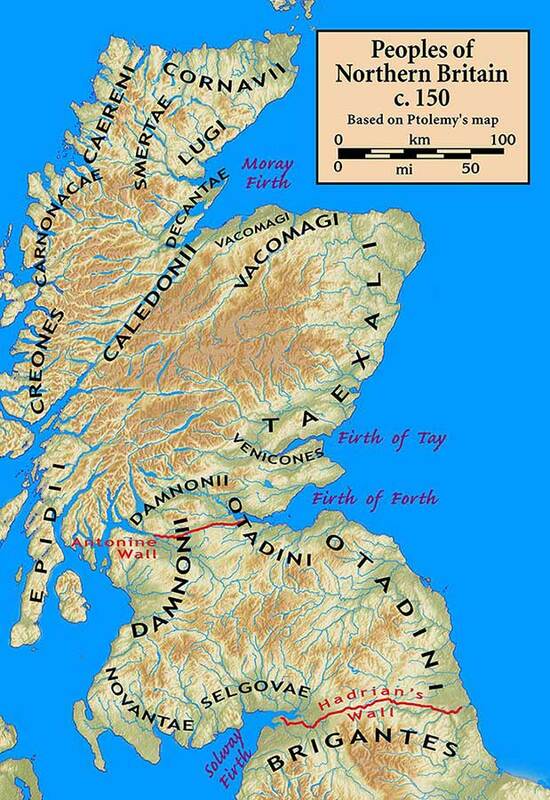 None the less the Caledonians did retake their territory and push the romans back to Hadrians wall. Eumenius, the panegyrist of Constantine Chlorus, wrote that both the Picts and Caledonians were red haired (rutilantia). Scholars such as William Forbes Skene noted that this description matches with Tacitus' description of the Caledonians as red haired in his Agricola. Archaeological evidenceThere is little direct evidence of a Caledonian archaeological culture but it is possible to describe the settlements in their territory during their existence. The hillforts that stretched from the North York Moors to the Scottish highlands are evidence of a distinctive character emerging in northern Great Britain from the Middle Iron Age onwards. They were much smaller than the hillforts further south, often less than 10,000 square metres in area, and there is no evidence that they were extensively occupied or defended by the Caledonians, who appear to generally have had a dispersed settlement pattern. Suggestions of widespread warfare in Scotland at this period have been made. By the time of the Roman invasion there had been a move towards less heavily fortified but better sheltered farmsteads surrounded by earthwork enclosures. Individual family groups likely inhabited these new fortified farmsteads, linked together with their neighbours through intermarriage.